August 2014 ~ Debian, Ubuntu et al. Given that I finally received my Banana Pi, it is time for a little review of the Chinese Raspberry Pi "competitor". Before I tell you about my first experiences with the board, let's have a quick look at its hardware specs and how they compare to the newly released Raspberry Model B +. The first thing that sticks out is the Banana Pi's much faster dual-core, Cortex-A7-based Allwinner A20 system-on-chip running at 1GHz, which definitely beats the Raspberry's "well-known" 700MHz, ARM11-based Broadcom BCM2835 processor. The Banana Pi is also equipped with 1GB of RAM and built-in Ethernet that can handle up to 1Gbps, which is approximately ten-times as fast as the Raspberry Pi's. The only area where the new Model B+ can really shine, next to the 4 x 2.0 USB ports, is the additional GPIO headers. There are now 40 compared to 26 on the Model B. The Banana Pi's GPIO layout is the same as the Raspberry Pi Model B, which makes most projects based on Raspbian and the RPi.GPIO libraries compatible with the Banana Pi. Unfortunately the Banana uses a parallel camera interface, which means that your Raspberry Pi camera board won't connect to the Banana's CSI interface. Luckily, Lemaker is working on their own module. 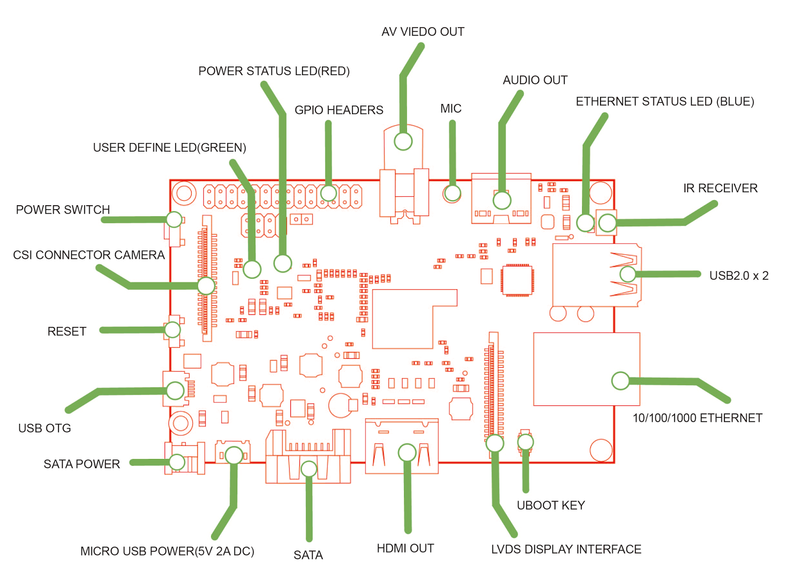 Additionally the Banana Pi features some interesting ''perks'': power & reset switch, an IR receiver, a microphone, a programmable LED, SATA and a LVDS display interface. No need for a fancy HDMI monitor as ssh is enabled by default. Just connect the Pi via Ethernet and you are ready to go: the default credentials are userid: root, password: bananapi. To get the IP address of the Banana Pi, you can either access your router's control panel or perform a scan with nmap. First thing you might want to do is to expand the file system and disable Desktop boot. Select "Expand Filesystem" and reboot for the changes to take effect. The next thing I did was adding a new user, deleting the default bananapi user and disabling ssh access for the root user. Look for "PermitRootLogin" in the /etc/ssh/sshd_config file and set it to no. If you are like me and using the BPi in headless mode, you might want to setup a VNC connection. My initial verdict after a few hours with the Banana Pi is very positive indeed. 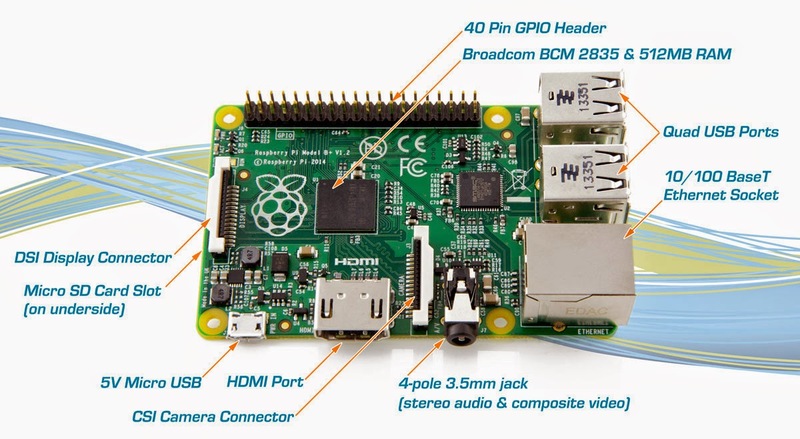 You will notice a considerable performance increase compared to your Raspberry Pi and the board's peripherals (e.g. SATA) make it ideal for many projects. As far as I am concerned I do not see any significant downsides. Sure, there is no camera module yet and some RPi extension boards won't fit the BPi, but overall a great effort by Lemaker. I'll be back with additional tutorials.